This second-generation device is smaller and thinner, projected to last 40 percent longer than the previous version and is enabled for remote patient monitoring. 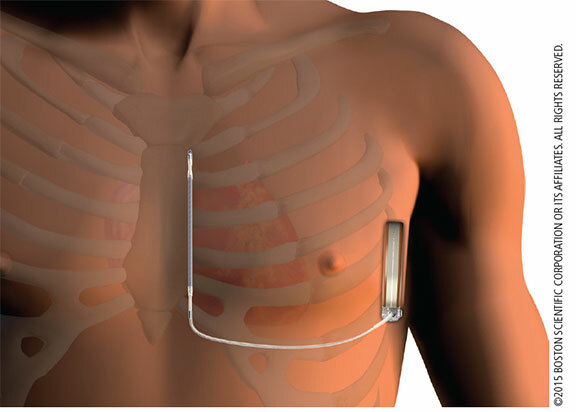 It eliminates many of the potential complications associated with transvenous leads and has demonstrated excellent real-world results, including low complication rates and high conversion efficacy.1,2 “The smaller size and remote monitoring capability of the second-generation S-ICD have made it more compatible for our patient population, and we do not have to implant anything directly into the heart,” says Jason R. Imundo, MD, pediatric cardiologist and electrophysiologist, Penn State Children’s Heart Group. Instead, the device is implanted just under the skin near the ribs. Since the heart is not disturbed, this procedure offers a new option to patients with congenital heart defects that previously disqualified them from receiving a transvenous ICD. The procedure lasts approximately two hours, including administration of anethesia. Typically, the procedure is followed by a one-night hospital stay. An incision is made along the lateral surface of the pectoralis muscle, followed by creating a pocket to implant the generator. For the lead itself, an incision is made in the sternum and a surgical tunneler is used to transport the lead from the generator. The size of the patient determines the number of incisions; if the patient is grown, a two-incision technique can be used; if significant growth is expected, a three-incision technique must be used to allow for lead expansion. 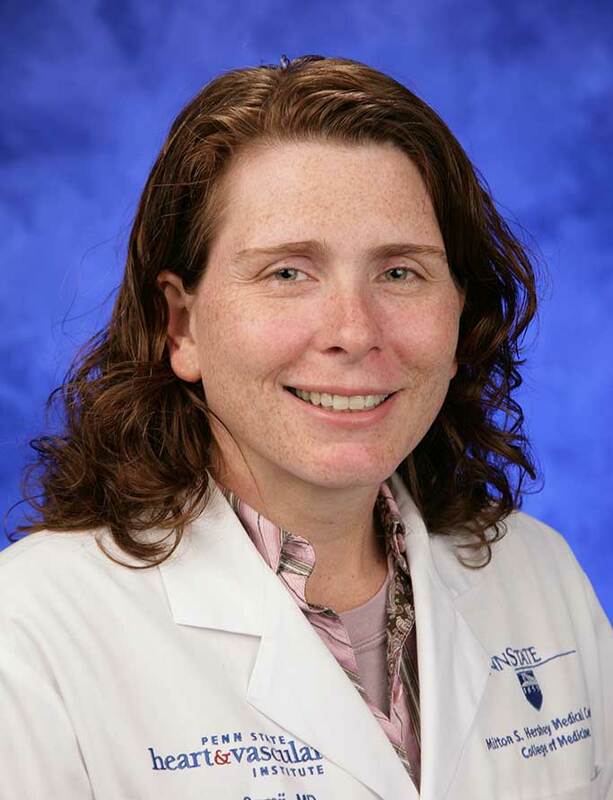 Since 2014, cardiologists at Penn State Health Milton S. Hershey Medical Center, including Soraya Samii, MD, PhD, cardiac electrophysiologist, have been using S-ICDs in adult patients, and are now collaborating with their colleagues in pediatric cardiology. Sharing Dr. Imundo’s enthusiasm for the newer generation S-ICDs, Dr. Samii states, “Young patients’ risk of developing transvenous infections or lead fractures is eliminated.” Dr. Samii believes the collaboration between the adult and pediatric divisions on cardiovascular cases, paired with the advanced tools now available, is leading to optimal patient care. Penn State clinicians have performed a total of 30 cases, including five in pediatric patients, in less than one year. 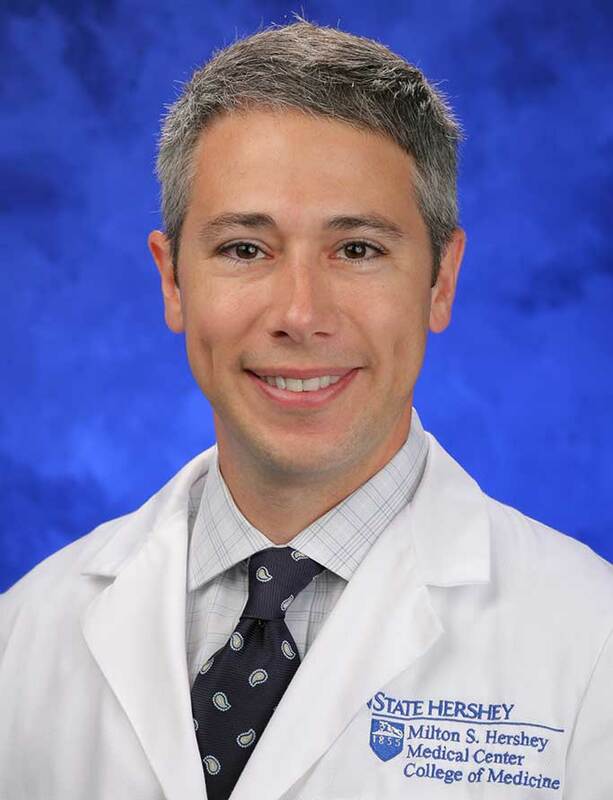 One case involved a 14-year-old male patient with no prior medical history who collapsed on the basketball court, due to ventricular fibrillation. After receiving almost 20 minutes of CPR from a trained bystander, the patient, later diagnosed with channelopathy, received a second-generation S-ICD for secondary prevention of life-threatening arrhythmia. He had an uneventful recovery and experienced no residual effects post-procedure. Residency: Pediatrics, Schneider Children’s Hospital-Long Island Jewish Medical Center, New Hyde Park, N.Y.
Lambiase PD, Barr C, Theuns DA, Knops R, Neuzil P, Johansen JB et al. A worldwide experience with a totally subcutaneous ICD; Preliminary results of the EFFORTLESS S-ICD Registry. Eur Heart J. 2014 Jul 1;35(25):1657-65. Weiss R, Knight BP, Gold MR, Leon AR, Herre JM, Hood M et al. Safety and efficacy of a totally subcutaneous implantable cardioverter defibrillator. Circulation 2013; 128: 944-953.